You should invest in a grocery shopping list template for many reasons. Some people make the list directly before they go to the store, and some people write their list out as they think about it during the week. Your list should include: store to be purchased from, the price of the item, and the item name. If you bring a list to the store, you will end up saving yourself money. If you follow your list, you will probably end up buying things you need. When you have a list, you probably won’t spend money that you don’t have on things you don’t need. Why Choose This Grocery List? 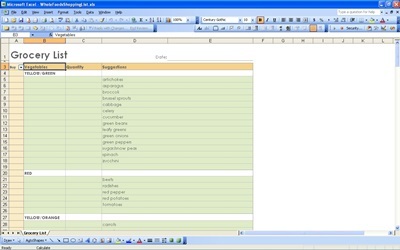 In addition, you should use a grocery shopping list template because it will help you stick to your diet. If you go to the store without specific foods in mind, you will probably end up buying junk foods that you don’t need. If you stick your list, you will have an easier time not buying junk food at the grocery store. Most people use a grocery shopping list because it is a reminder of what you need to buy for the week. If you tend to forget, you should probably invest in a note pad. The list will help you remember what you need from the store because it can be hard to remember at times. You will have to be sure not to forget your list at home though. If your forget, you may want to consider putting your list on the phone. These are just some of the reasons that people use a grocery shopping list, but there are many reasons to do so. Lists can be helpful for many reasons, and so you can use them for many reasons. Be sure to check out the reasons to invest in our other lists!